and audit, and integrated business intelligence. Packages that meet your needs. Our job is to manage the technology for you. 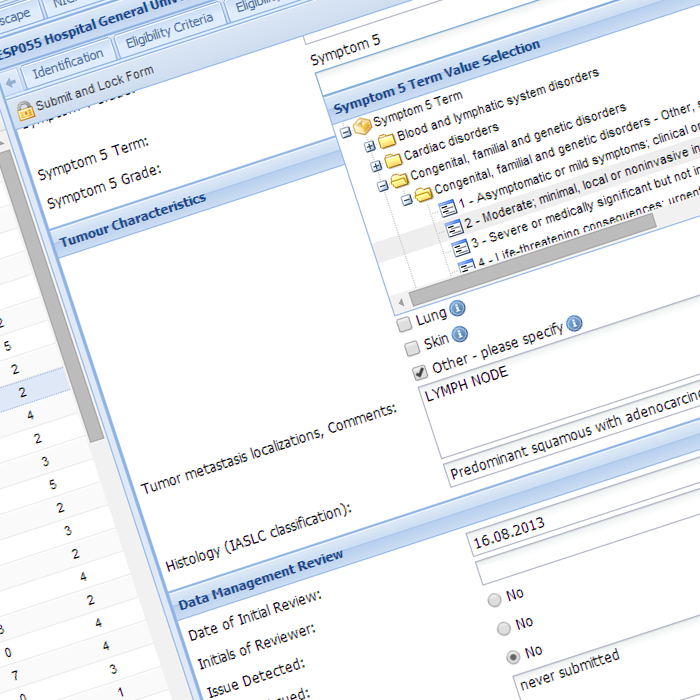 Datimbi is a cloud-based data management and analysis platform ideally suited for Clinical Trial and Case Management. Your problems are complex. Their solutions should not be. Our platform simplifies the complex, and our optional turnkey management services let you focus on your operations and research. Datimbi’s platform is FDA 21 CFR Part 11 compliant and has been validated independently for maximum quality and security. Easy, efficient and powerful! Use graphical tools to define complicated case structures and workflows rapidly with your experts. Our hosted, fully web-based platform ensures full turnkey operations continuity. We provide full services for helping you to build and manage your studies and projects. What is the Datimbi Platform? At Datimbi, we are obsessed with providing perfect software that simplifies our customers’ lives. If you have any data-driven process management needs where quality, security, ease-of-use and controlled global access are required, then we’d appreciate your consideration. 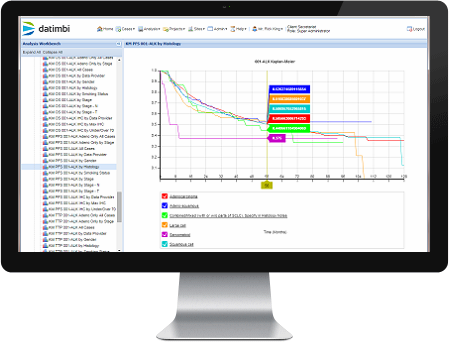 Datimbi provides a full complement of services, ranging from project planning and management through system design, configuration, testing, and operations support. Through our Partners, we work with independent experts in the areas of test/validation, bio-statistics, and other specialties. The platform is designed to enable internal and external collaborators to participate in studies or business operations, with specific control over who can see and do what. A driving principle of our approach, because we hate it ourselves, is to avoid platform “lock-in”. 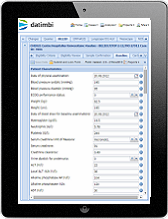 We make it easy for you to access and download your configurations and data at anytime using standard data interchange formats. We want you to stay our customer because you want to stay, not because you have to. 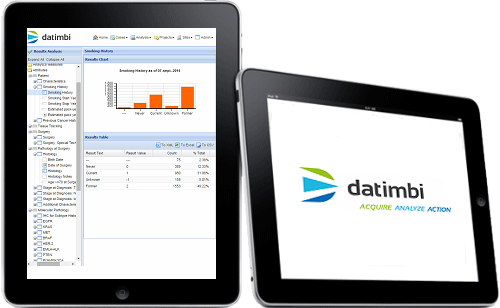 Datimbi’s goal is to provide the most flexible, integrated and highest quality platform for the acquisition, quality assurance, analysis, and action on event-driven data. We aim to deliver perfection to our customers’ critical missions including conducting clinical trials, managing sensitive cases, or executing financial transactions. Your problems are complex. Your software solutions should not be. Our platform simplifies and accelerates the design, management and analysis of your projects, operations, or studies. Our services cover the continuum of full turnkey management through basic support, depending on our customers’ needs and budgets. We work tirelessly to ensure that our customers’ objectives are met. We approach our business relationships with transparency, honesty, and the highest standard of professional ethics.